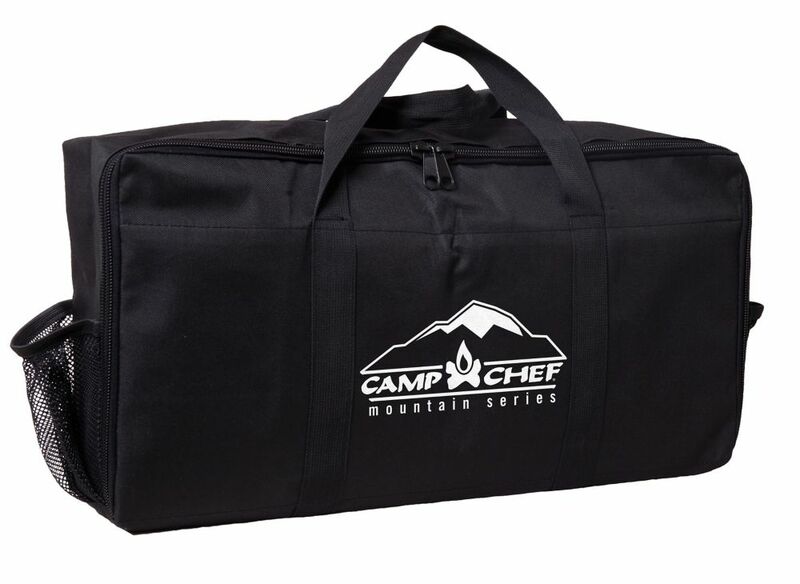 Carry Bag for Mountain Series Stoves Made with durable fabric to withstand your outdoor cooking adventures, this carry bag features a roomy interior to fit your Mountain Series Stoves and propane bottles. Pack, store, and protect your stove with a carry bag to lengthen the life of your stove and provide easy transport. Carry Bag for Mountain Series Stoves is rated 4.8 out of 5 by 4. Rated 4 out of 5 by Jeepfreak1972 from good features Works as expected. I do wish it was more of a semi hard / stiff body to better protect the stove. Rated 5 out of 5 by LostMungo from Cooking with confidence Powerful camp stove. Works fast just like myJetboil backpacker stove. Love it. Ignites the first time even in freezing cold and brings everything to a boil fast. Compared to my duel fuel Coleman, this is a stove that performs quickly with without fail. Rated 5 out of 5 by rollie from Great Product!! Purchased about 2 weeks ago. Friends and family recommended to use the box stove came in. I told them no as the box starts to fall apart after a few years as theirs are starting to now. Showed them my carrier and will order one from you.